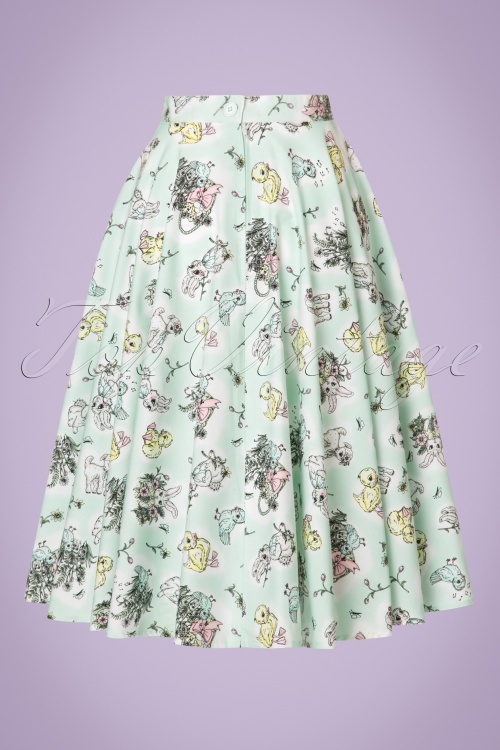 This 50s Easter Bunny Swing Skirt gives you spring fever! 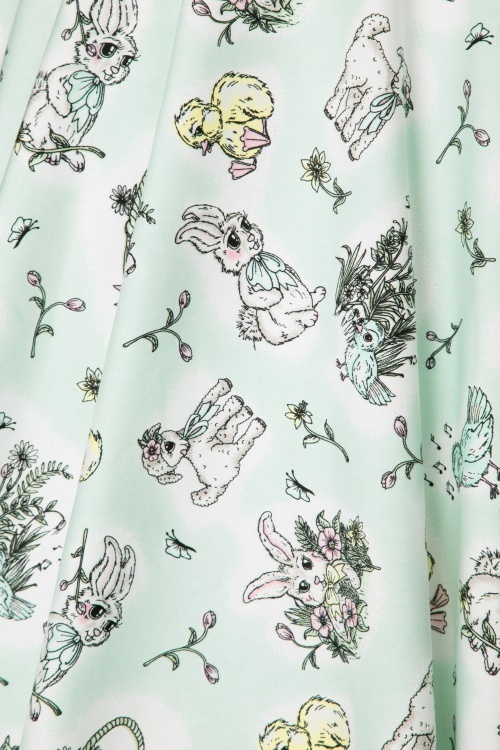 ''It's the little things that make life wonderful''... flowers, bunnies, lambs and chickens. 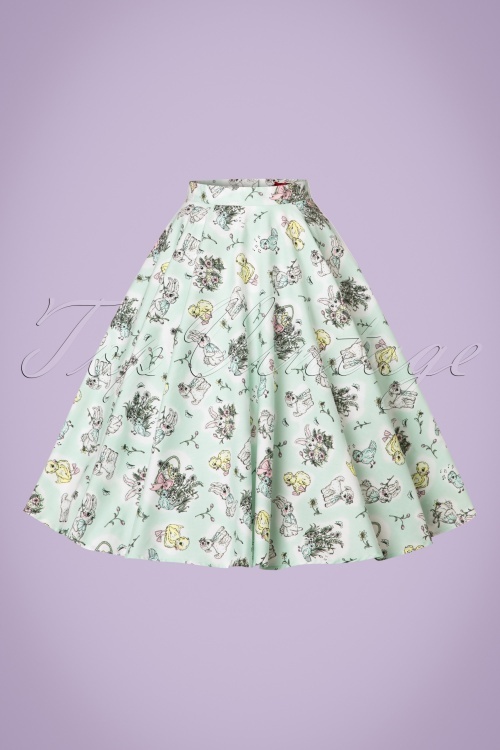 This stunner is full of them, so you'll understand why she's making us totally happy ;-) She is worn high in the waist from where it runs into a happy, flowy swing skirt. Breathtakingly beautiful ánd practical thanks to the side pockets. Made from sturdy yet breezy cotton (doesn't stretch!) 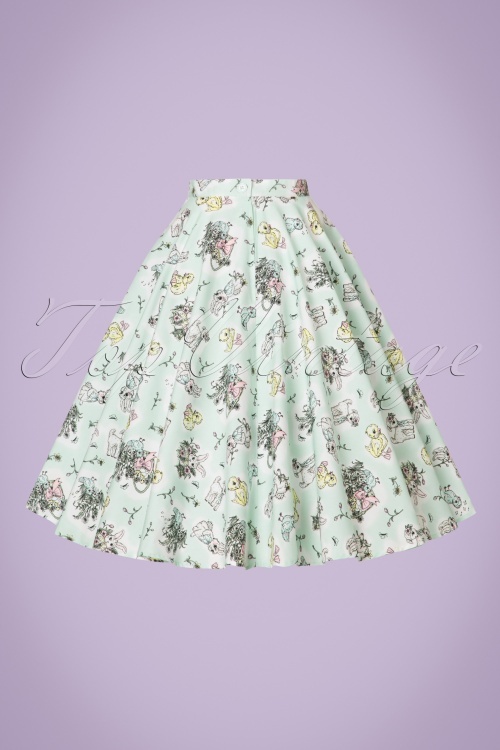 in lovely pastel tones. 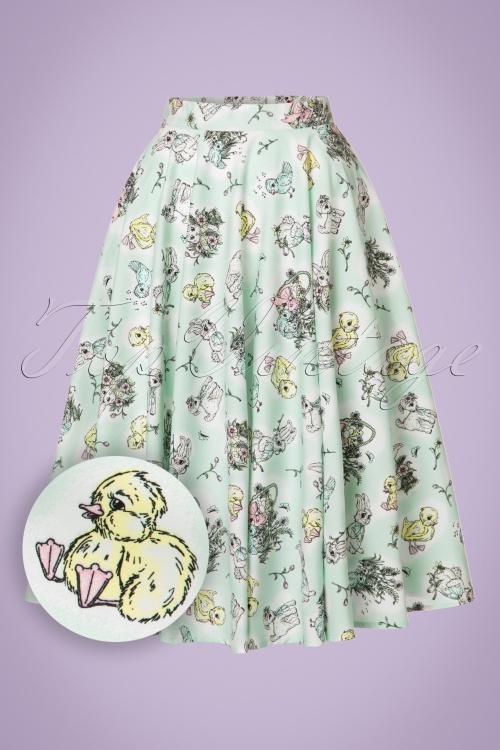 Easter or no Easter, every day is a perfect day for a festive dress like this one! Der Schnitt des Rockes ist sehr grosszügig, tendenziell überall etwas weit, auch in Grösse S. Der Stoff ist sehr dünn. Allerdings hat der Aufdruck das wieder gutgemacht. Für Ostern unschlagbar!